Toho beads Round 11/0 wholesale are popular seed beads, glass beads from Japan. We sale japanese beads in many colours, sizes. These high quality seed beads are ideal for bead stringing, bead loom working, bead weaving and other jewellery making applications, giving ideal and beautiful results every time. 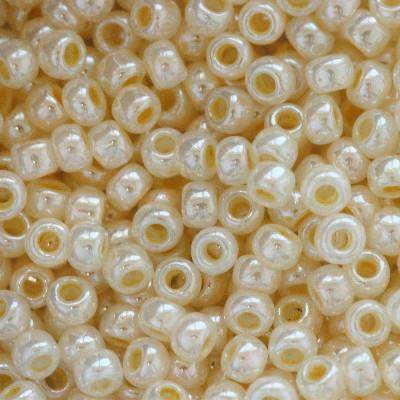 Their regularity in size, shape and hole size make them the perfect seed bead for precise and detailed beadwork.Original, high-quality Japanese Toho beads. Packing 50 grams is about 5300 pcs. Maximum discount 10%. Please also check our diffrent offer such: Swarovskie Crystals, jewelery findings, semi-precious stones, glass beads, sterling silver 925. Create brancelet, earrings, necklace handmade such as you want.